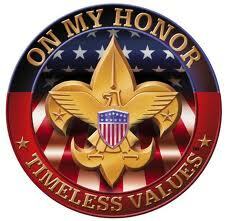 Troop 11's Committee meets once a month, on the first Thursday night of the month at 7:00 PM. The Boy Scout Troop Committee is responsible for conducting the business of the troop, setting policy, and helping the Scoutmaster and Scouts with the outdoor program and other planned activities. The committee also has the responsibility to provide adults for Boards of Review This is an important responsibility and is one area where help is always needed and appreciated. The committee consists of parent volunteers who fulfill various roles on the committee. The Secretary is appointed by the committee chairman to keep minutes and records, send notices, and handle publicity. The Unit Fundraising Chair, is appointed by the committee chairman to supervise Fundraising and ensure that every youth member has the opportunity to participate in other council Fundraising events.